Hello! Sorry I only have time for a short post because Alaric's friend from Australia (met via SC2 lol) is in town so we're gonna show him around then bring him for Clicknetwork's Harry Potter 7 Pt. 2 screening (I think they booked one whole cinema o.O) then I have a friend's birthday at 1-Altitude and Zouk! 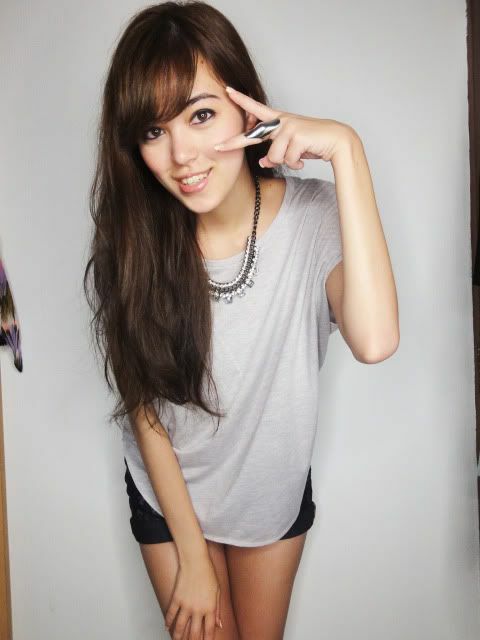 Below are two random pictures of me testing out the lighting before I take pictures! I take the pictures against the ONLY blank wall I have in my room (in the whole house actually, my living room is painted green haha), which is between my ceiling-to-floor mirror and the door. So if anyone were to swing open my door violently they would actually slam me in the face haha. Anyway usually my pictures end up with a bit of the mirror+door on either side but obviously I cut these out in the final pictures. Sometimes however, depending on where I stand, you won't see either side at all like in the picture below. 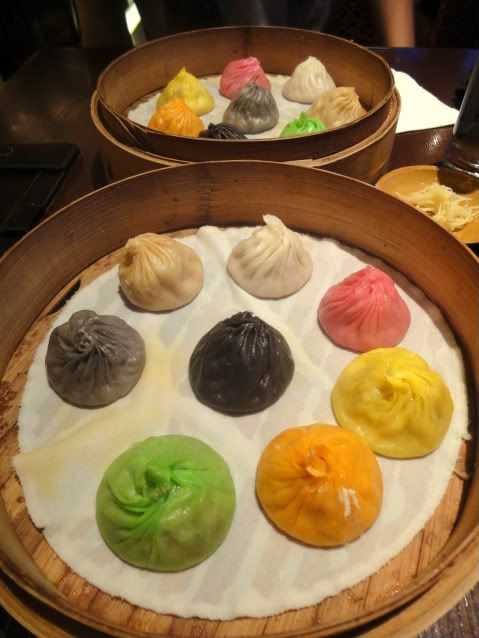 I went on a xiao long bao coupon buying frenzy (from Groupon) because they were really quite worth it! I think I bought 4 in total; printed out 2 for dinner the other day. (And by spree I meant that originally I bought 2, then Qiuting asked me to help her buy 5 so her kiasu-ness spread to me and I bought another 2 or 3). And sadly the queue was so insanely long! Our queue number was 72 and it was only at 20+ omg. But thank goodness 99% of the 40s-70s decided to disappear (guess they didn't want to wait) so we waited maybe 30minutes at most? Anyway my other 2 coupons are going to have to go to waste because they expired... yesterday. We contemplated going down again but the queue was just retarded (and you can't make reservations). That's the problem with coupons, you buy them not because you really want the product but simply because it's cheap. You chuck them somewhere and tell yourself "confirm will use one" and then you keep putting it off (because you were never dying for the product anyway) and then... it expires haha. Oh well I only paid $7+ for each coupon anyway, and I still saved a substantial amount using the other 2, so if you add the savings + losses... ah whateverz. The floral shorts is nice! 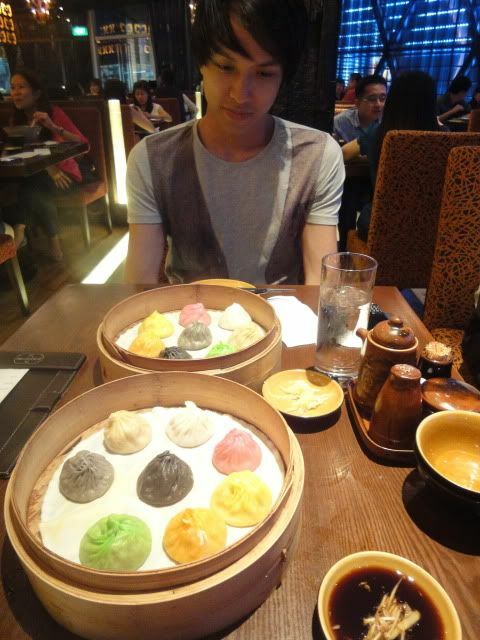 :) & are the xiao long baos nice? You can still use your Groupon but only for the value amount you paid for. It states in the terms and condition of Groupon. So you won't lose too much at the end of the day. Use it! If you have yet to redeem your Paradise Dynasty Groupon, don't worry! Paradise Dynasty have graciously extended the validity of the deal to 29th July. So share this post with all your friends and enjoy your Groupon! According to Groupon's FB wall, they've extended the expiry date for these Paradise Dynasty groupons till 29th July. This info was posted just today.